Senior Joanae Lawrence paints her parking spot on Saturday, Sept. 30. For the first time in the school’s history, parking spots were bid on for seniors. The highest bidder, Tessa Smith paid $50 for her spot, $35 higher than the normal price of $15. 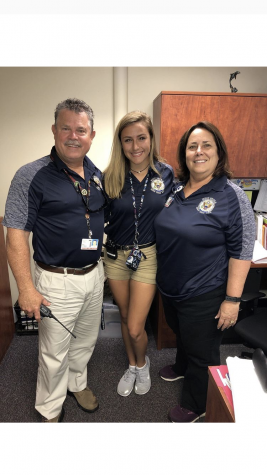 Senior Class President Zachary Zaroogian says the idea came from a similar bidding at the PTA’s Parents Night Out last year. 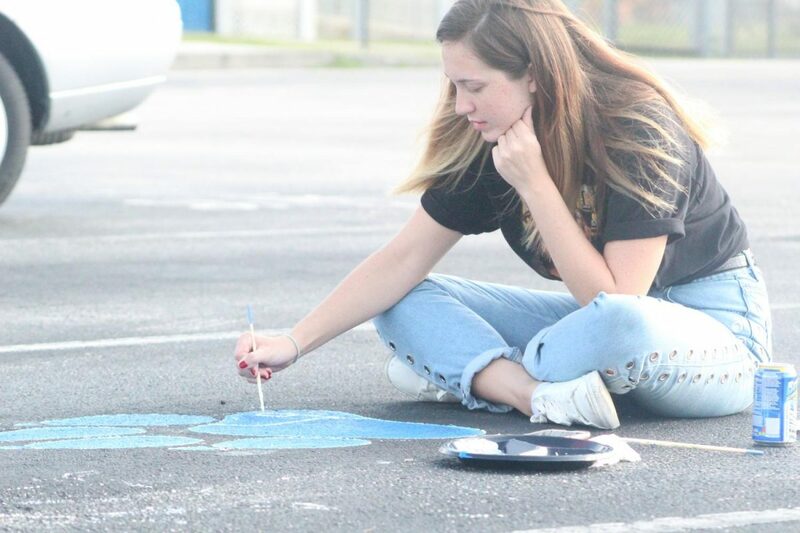 With school being canceled for Hurricane Irma, the day to paint parking spots was postponed to Sept. 30, and this year the paw prints to paint were slightly larger to paint.